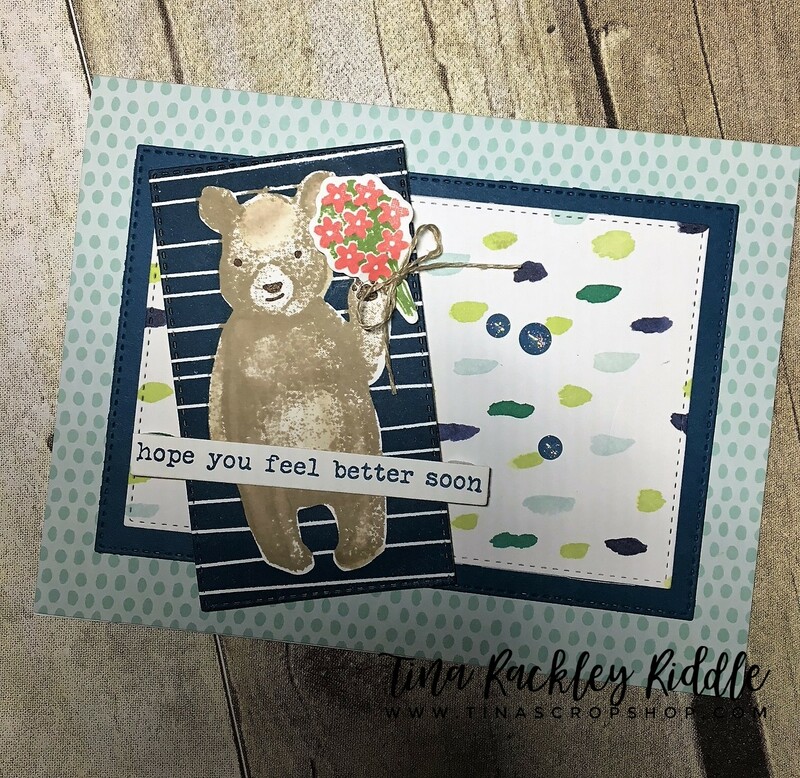 Tina's Crop Shop: PCC286 Sketch Challenge with Concord & 9th Hi There Bear! PCC286 Sketch Challenge with Concord & 9th Hi There Bear! Hello and Happy Hump Day! 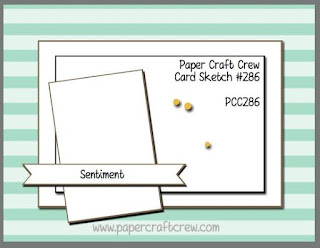 I'm back over at the Paper Craft Crew with a card for a new fun sketch! Hope you'll stop by and check out all of the Design Team's Inspiration! This was a quick and super easy card with the help of a premade card base, a piece of DSP, and coordinating Cardstock and a little stamping with the fun Concord & 9th Hi There Bear Stamp Set. 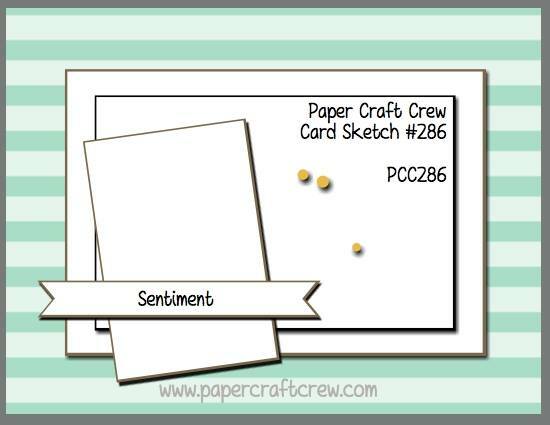 Sometimes a fun simple card can be a lot of fun and help you to feel like you've accomplished something quickly. I love these card bases and will certainly be super sad when I've used them all!